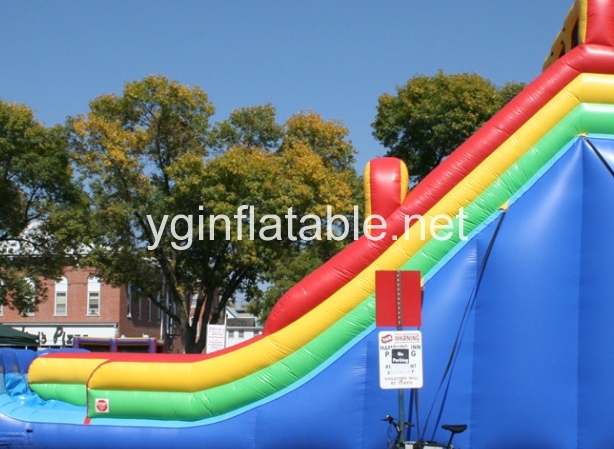 For children, the inflatable slides always have an irresistible charm. 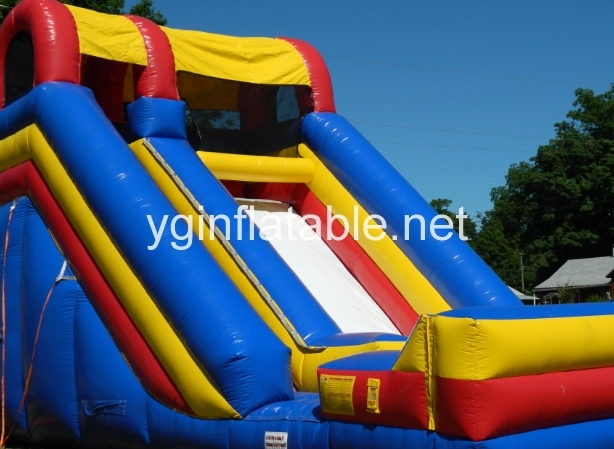 Children love to climb up and race down from the inflatable slides at backyard birthday parties, fairs, carnivals, and other types of events. It is well-known that safety should always be a top priority when children use an inflatable slide. The inflatable slides are generally safe, but in certain weather conditions they can be hazardous. Serious injuries have occurred from the use of the inflatable slides in unsafe conditions. So how to judge if it is too windy to use the inflatable slides. One of the greatest dangers when using inflatable slides is wind. A strong gust of wind can pull the stakes anchoring a bounce house or slide out of the ground and send it flying through the air with people on it. So they should never be used if winds are higher than 20 miles per hour. If you own a party rental business that sets up inflatable slides for parties and events, you need to monitor the weather conditions in the area where you will be working. Check the forecast before you set out for the day and again after you arrive. If conditions become too windy, you should stop the use of the inflatable slides immediately and take them down to prevent injuries. You should have a hard-and-fast policy cancellation policy for safety reasons. Explain this clearly to your customers when they call to rent inflatable slides. 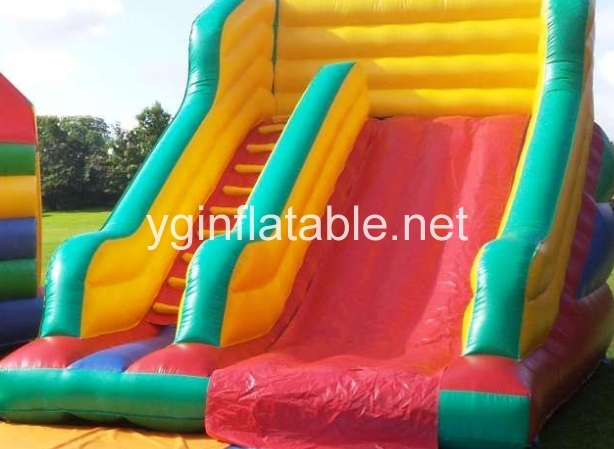 Let them know that inflatable slides can be dangerous when used in windy conditions and that you are looking out for the safety of the children and adults at the event. Renting inflatable slides for children is an excellent way to generate income and have fun, but you must always take safety seriously. You have a responsibility to keep people at parties and events safe. That means that you should not allow inflatable slides to be used if conditions are too windy. Using jumpers or inflatable slides in windy conditions can lead to serious injuries. Under the right conditions, inflatable slides are generally safe. And you can start to make your kid play in the inflatable slide with fun now.